On STM32F429 Discovery board there is LCD with ILI9341 controller. It has 240 x 320 pixels resolution and 16bit or 18bit color depth, what gives you 65536 or 262144 different colors. It has also a possibility of different way of connection, like serial, parallel, with VSYNC and HYSNC. 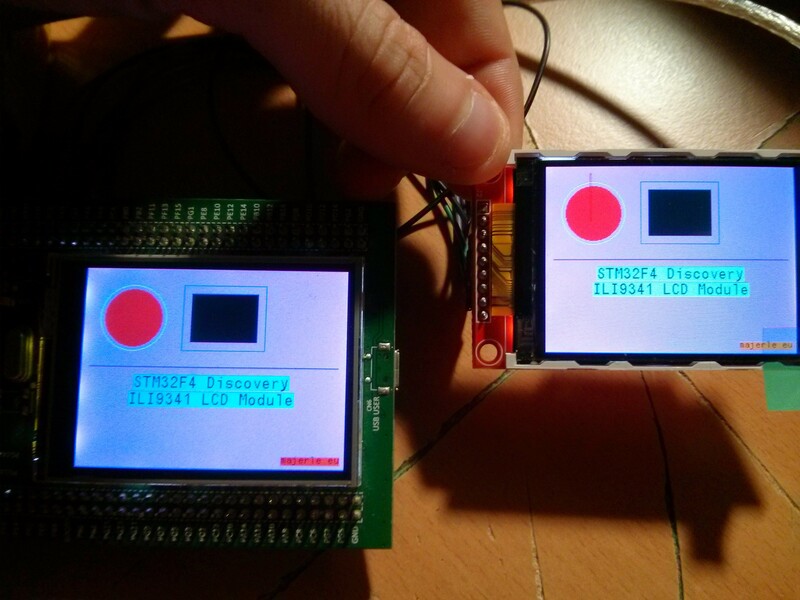 STM32F429 has also LTDC driver for LCD like that, but this driver we will use later. For now we will use SPI for driving in serial mode and some other pins for controlling. I choose this way because on ebay there is a lot of this displays configuring for SPI driving. If you want to use ILI9341 with LTDC on STM32F429-Discovery board, then check this library. After some optimization videos from Jean-François Garcia and electrodacus I thought that adding that optimizations to my library is not bad idea. So now, DMA is used for SPI and window/page settings is used before sending data to LCD for reducing time for LCD. So, for maximal support for this LCD, redownload all libraries because I’ve done some changes in TM SPI, TM DMA, TM SPI DMA and TM ILI9341 libraries. Remember: This library can also be used, if you are not using STM32F429 Discovery. It can be used in previous STM32F4 Discovery board. All pins can be changed in defines.h file which is included in project. 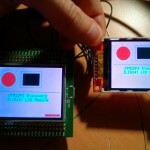 When you included all files to you project, you have to initialize LCD first. Then you are able to work with.